Sarah Nader- snader@shawmedia.com Crystal Lake South's Jenna Ross heads the ball during the second half of Tuesday's soccer game against Cary-Grove on April 29, 2014. Crystal Lake South won, 1-0. Sarah Nader- snader@shawmedia.com Cary-Grove's Morgan Olsen dives to block the ball during the second half of Tuesday's soccer match against Crystal Lake South April 19, 2014 in Crystal Lake. Crystal Lae South won, 1-0. Sarah Nader- snader@shawmedia.com Cary-Grove's Sofie Immens (left) is guarded by Crystal Lake South's Alexandra Siavelis while she brings the ball down field during the second half of Tuesday's soccer match in Crystal Lake April 29, 2014. 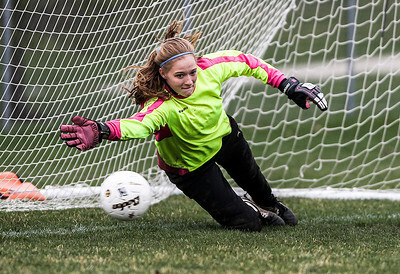 Crystal Lake South defeated Cary-Grove, 1-0. Sarah Nader- snader@shawmedia.com Cary-Grove's Emma Baker (left) and Crystal Lake South's Jenna Ross run after the ball during the second half of Tuesday's soccer match in Crystal Lake April 29, 2014. 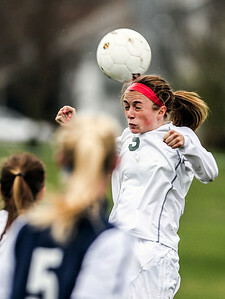 Crystal Lake South defeated Cary-Grove, 1-0. 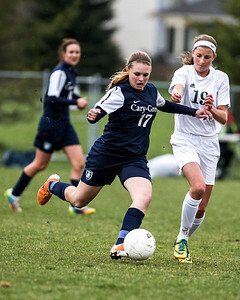 Cary-Grove's Sofie Immens (left) is guarded by Crystal Lake South's Alexandra Siavelis while she brings the ball down field during the second half of Tuesday's soccer match in Crystal Lake April 29, 2014. 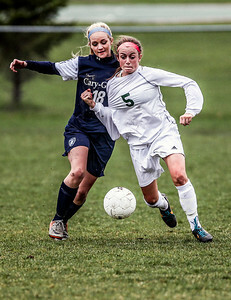 Crystal Lake South defeated Cary-Grove, 1-0.